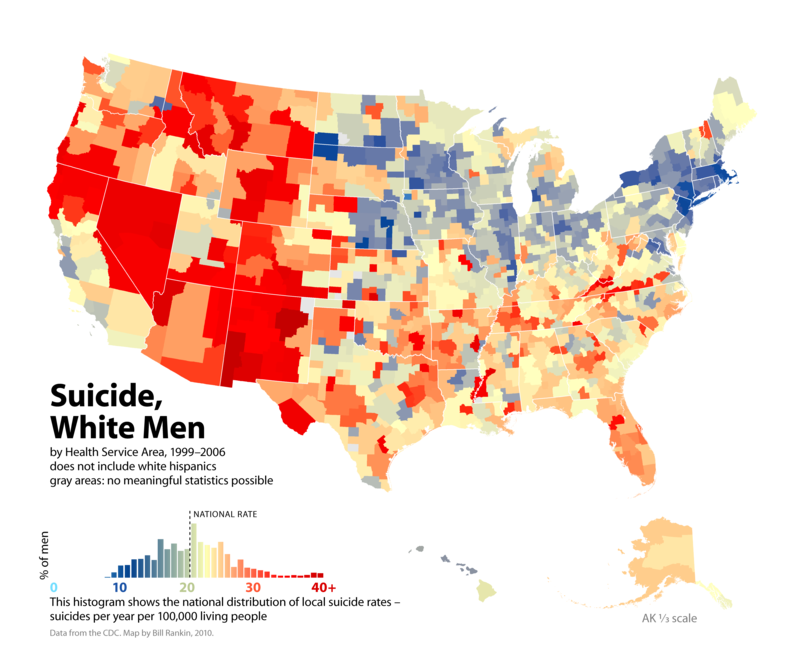 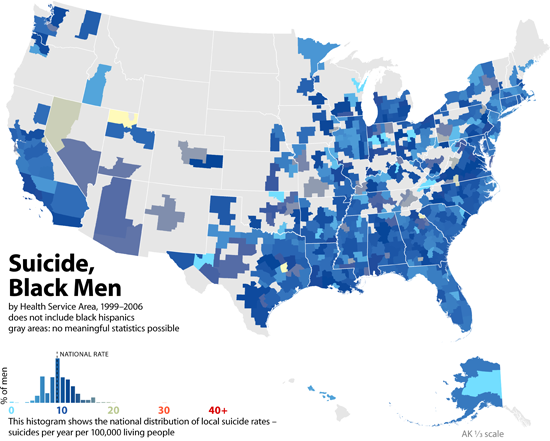 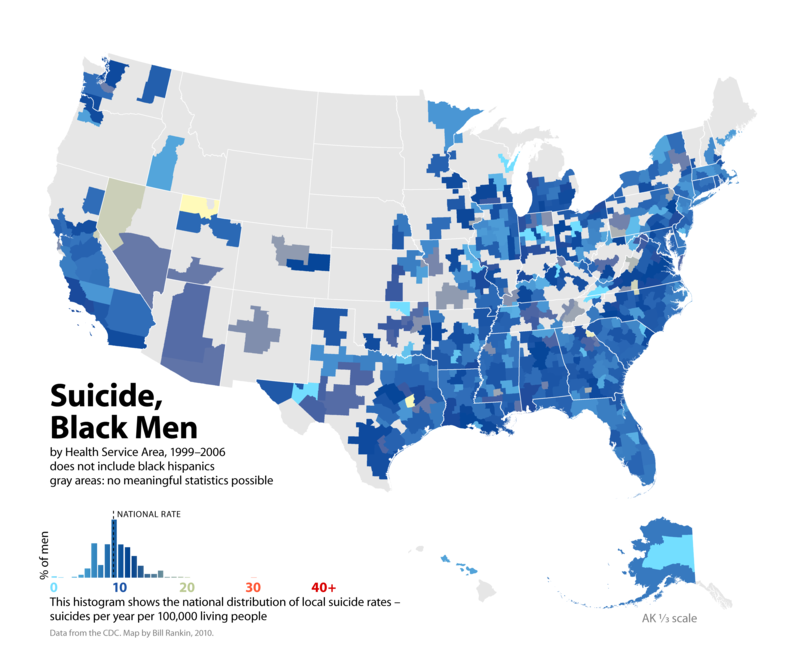 There are huge differences in the suicide rate by race, gender, and geography. 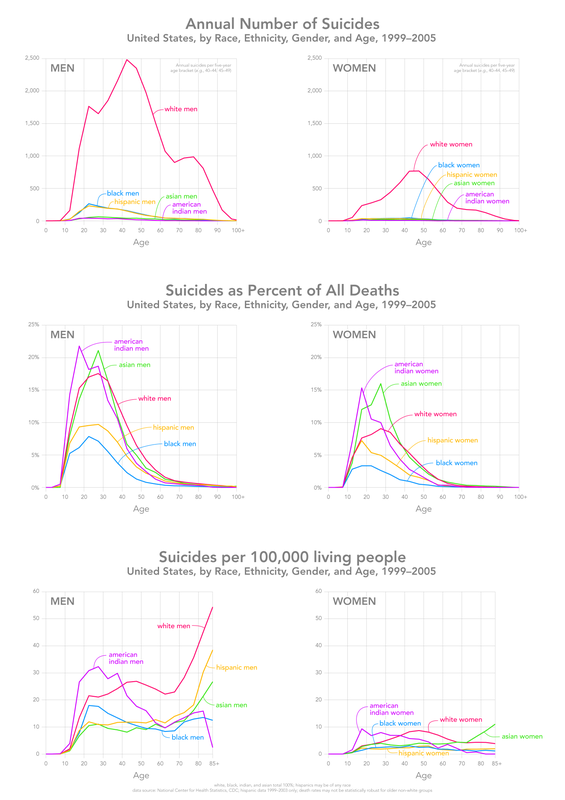 (There's huge variation by age as well). 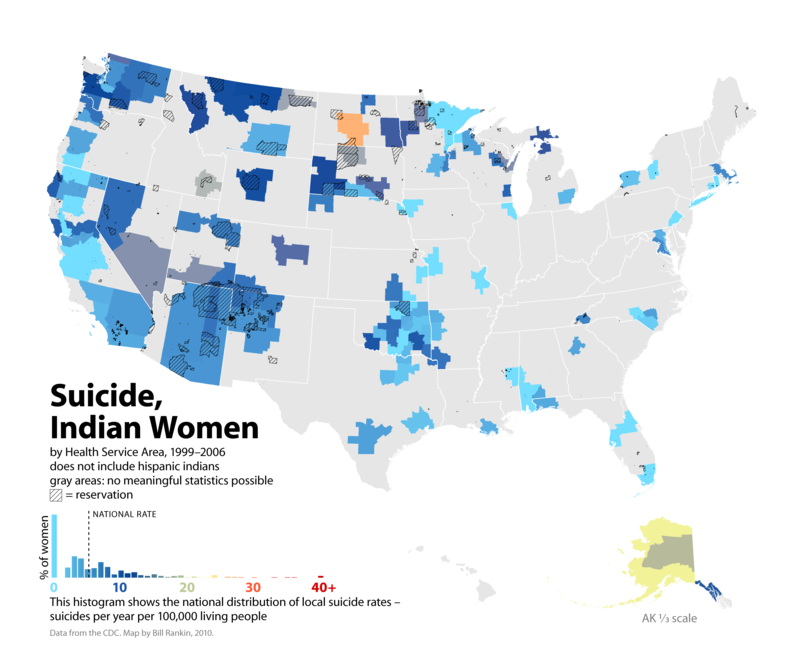 The variations are so large that it makes little sense to talk about the "suicide rate for the United States"; what we have instead are little socio-geographical islands, each with their own risks and rates. 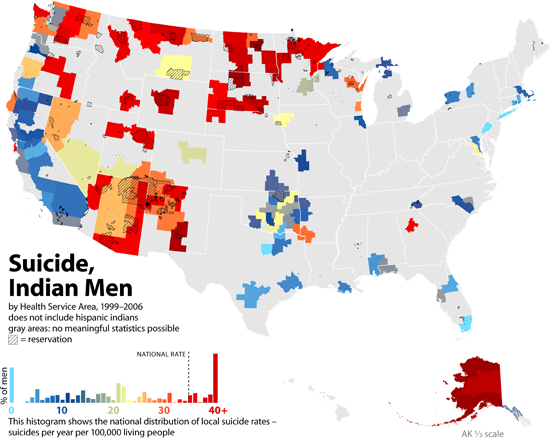 For example, the suicide rate for white men in the Rockies is typically greater than 30 deaths per 100,000 living men, while even the highest suicide rate among women is only 19 per 100,000 (in Wilson, Kansas). 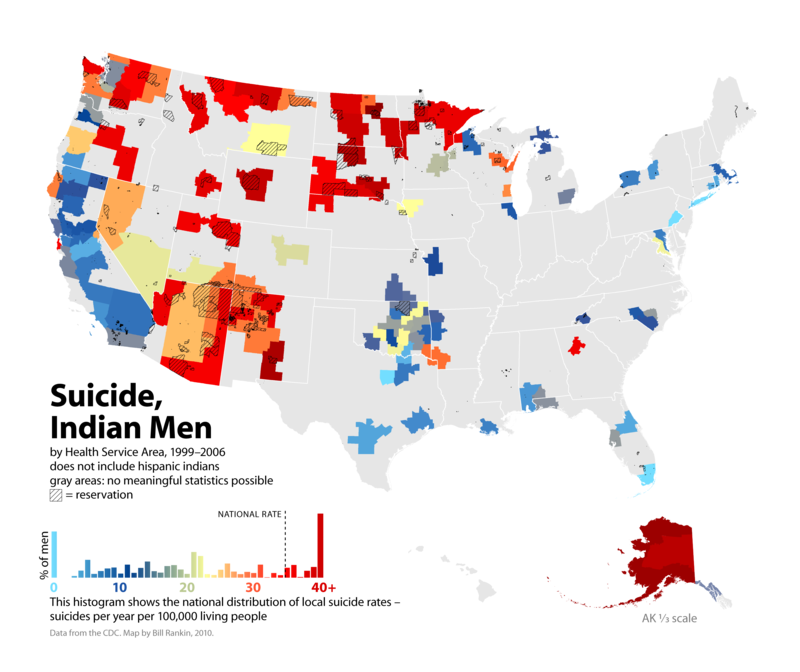 Overall, the mean rate for men (22.4) is roughly four times that of women (5.2). 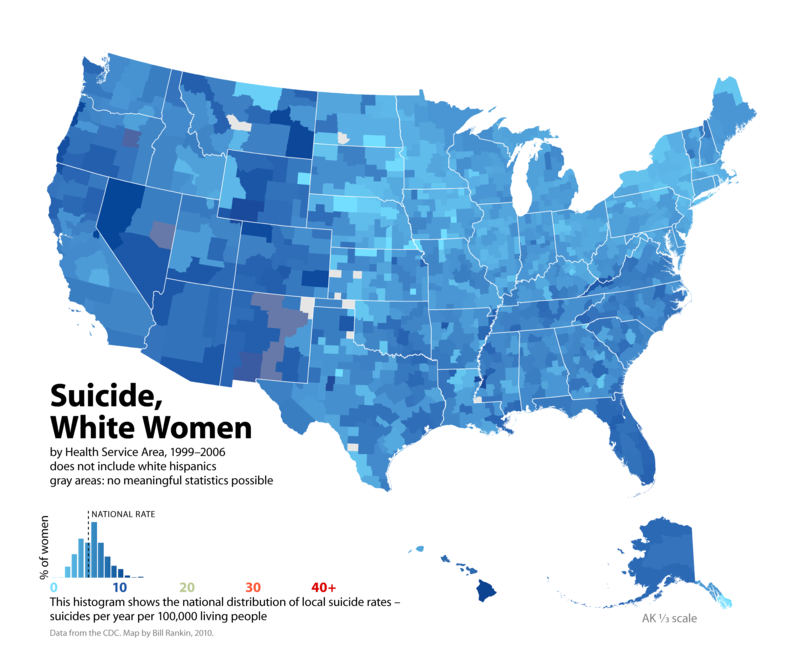 Data from the Centers for Disease Control. 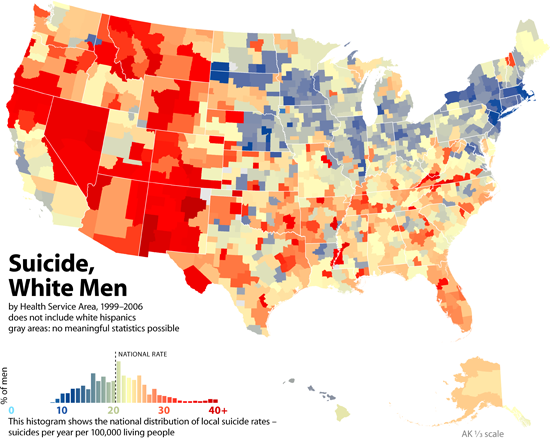 This is version 3.0 (2010).